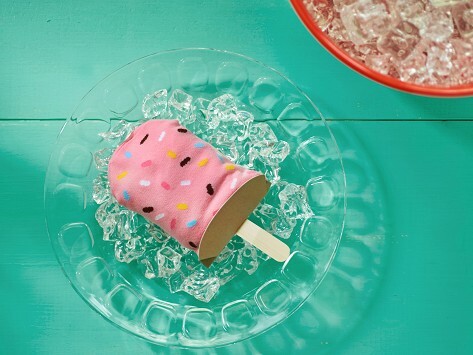 Keep it cool with these delicious looking socks that come perfectly rolled to mimic popsicles. Unfold a pair to pull on a comfy (and colorful) sock that will charm foodies and fun sock-lovers alike. Dimensions: 6.5" x 3" x 1.5"
My nieces loved these for Christmas. The funny sushi socks—and don’t forget the doughnuts!—from Sukeno are a sure-fire winner for foodies and fun sock-lovers alike. 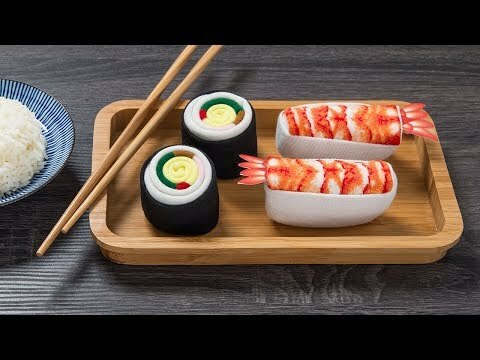 The playful, realistic-looking designs come folded perfectly as sushi rolls, sashimi, popsicles, and doughnuts. And these pairs are more than just eye-catching. They’re created on state-of-the-art Japanese knitting machines. Knitting (instead of printing) helps the socks’ colors stay crisp even after wearing and washing. Whether you’re craving a California roll or a frosted doughnut with sprinkles, there’s a delicious-looking pair ready to be pulled on.